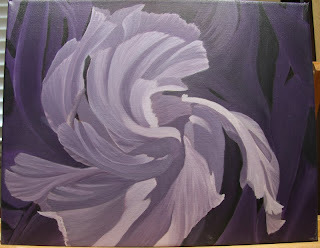 I have evened out the colors and added more darks and lights but still need to add more to push the shapes more. 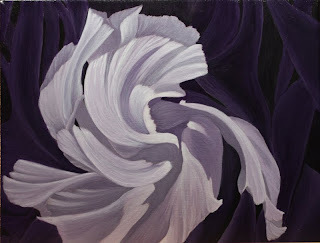 I am liking how the shadow areas are adding interest and the flow of the bottom petals. 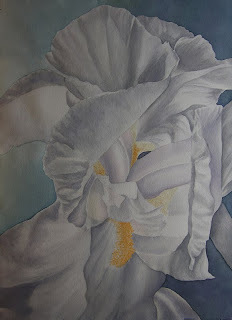 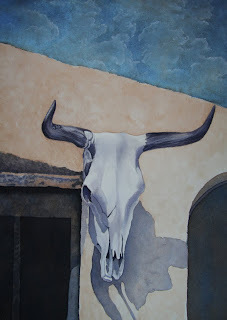 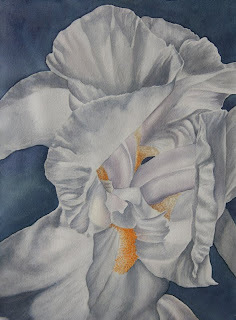 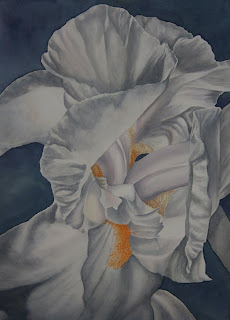 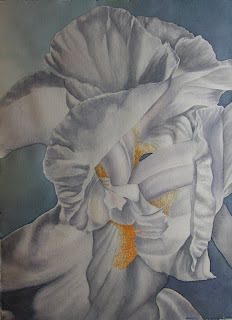 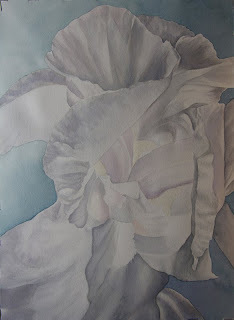 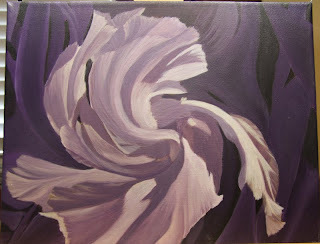 I am contemplating adding more depth to the background but will see once the flower is completed. This is my first fluid acrylic painting and although I have a long way to go, I am quite liking working with these acrylics compared to the previous acrylics I have used. 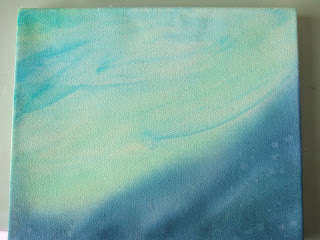 They are more suited to my working style and I finally feel like I am working with my acrylics instead of fighting against them! 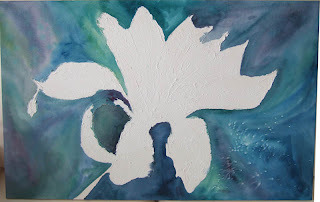 The subject is an iris flower that I have made into more of an abstract style so it is a loose interpretation of the flower, I am calling it Blown Away. 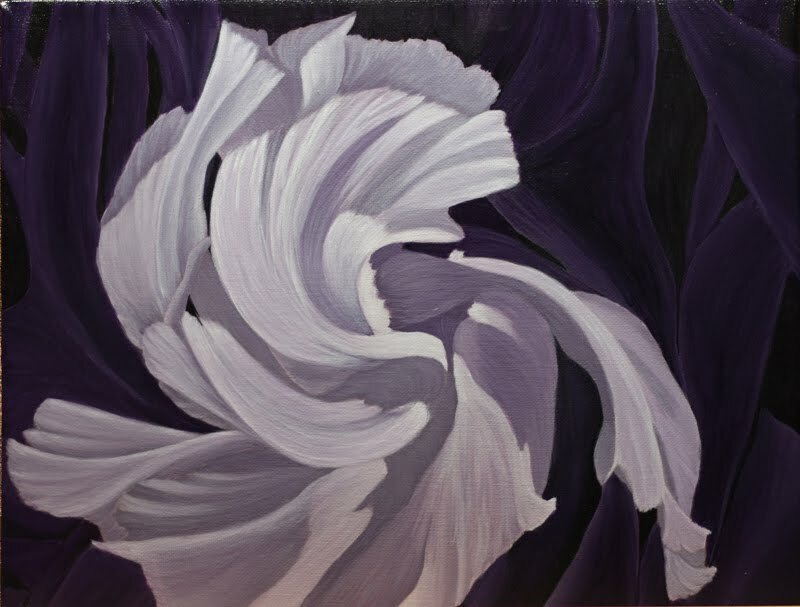 There was a brief moment of sunshine so I took the painting outside to photograph so I think these colors are truer than the previous posts. 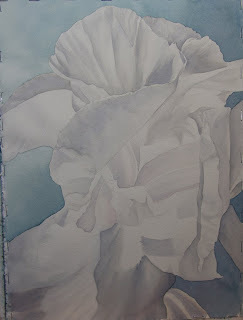 The more I look at it the happier I am with the background, it has a nice velvety texture which I never quite seemed to achieve in the past so I must be learning something!